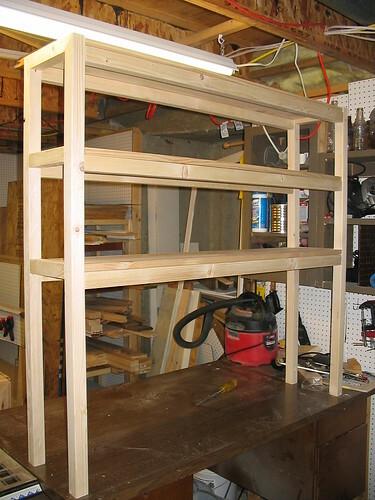 I'm building a mighty large face from (its like 9' long and 35" tall) to face a set of built in drawers in the master bedroom. I've got it about 75% finished and will post up some photos shortly. I have found the face clamp is a huge help in making nice flush joints. One of the most highly demanded items on our site in recent months has been the simple Project Plans which are available on www.kregjig.com. Due to their popularity, we're experimenting with an entirely new type of project plan, the VIDEO project plan. Here is our trial run... featuring our popular Workbench Plan with guest host Jeff Devlin from HGTV's "Spice Up My Kitchen." A rather “windy” comment for an amateur. 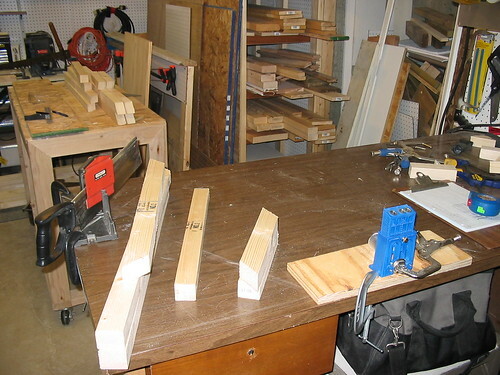 I’m proud to be a member of the “Kreg-Jigs” Pro-Am group. I retired from the world of computer software in 2001. Upon retiring, I got involved part-time with my church and school with networking and useful hardware & software packages. In 2007/2008 they had assumed the responsibility of their day to day activities, and I was expelled. So again, I was among the retired and facing our own DIY’s and “Honey Do’s”. I was sick for 2 weeks. Upper resp infection, not fun, which slowed me down on doing anything. But finally snapped out of it and finished the project. My name is Don Grubish, and this is my story. One Saturday morning I was letting the TV keep me company while I prepared breakfast. I flipped through the channels, bypassing cartoons and news talk shows. I came across an informercial for the Kreg Jig, and thought, "whatever... time to make my eggs and hashbrowns." The more I listened to the testimonials and demonstrations, the more I found myself paying attention. I was brought up by a father that generally had some home remodeling project going on and, since the chip doesn't fall far from the block followed in his footsteps. I took what I consider the next step and made a few pieces of furniture, a basic little table, foot stool, little cabinet, bookshelves, end tables that type of thing.